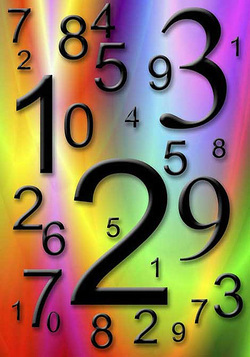 Whilst there are no doubt still many different forms of numerology around today (depending on the region and culture), the two most popular methods in our Western society would be the Pythagorean and the Chaldean methods, and they have sprung to popularity in more recent times amongst healers and those seeking self enlightenment or raised self awareness. I have attempted to put together a little introduction for you to explore in your own time. It is a complex subject and practitioners devote many years to studying the maths. From my perspective in my numerology charts I work with the Pythagorean discipline and build a chart to include ruling numbers and what the numbers, show, I create a birth chart, and do the name numerology, as well as identify the peak years. Its a fascinating subject and really “draws” a person in, although to do the charts can take some dedication to start with, after a while it just flows more naturally. I have also mixed my Pythagorean with some Chaldean concepts. Pythagorean seems to be the most commonly used, and clearly has its foundations with Pythagoras, a Greek philosopher and mathematician, who created the current discipline to which modern day numerologists refer to. In the efforts of self help, Pythagoras created a numerology discipline drawing upon the Arabic, Druid, Phoenican Egyptian and Essenes mathematical disciplines . My understanding is that many of the modern day numerologists draw on the studies made by Dr David A.Philips, who brought numerology back into the public forum in about the 1970's and it has had increased popularity ever since as a self help modality. 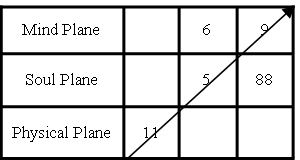 One key difference between Pythagorean Numerology over Chaldean is that Pythagorean numerology is extremely logical,and less mystical than the Chaldean. For instance Pythagoras didn't attach the same “sacredness” to the number 9 that the Chaldean displine does, and the Pythagorean alphabet uses numbers 1- 9, where as Chaldean numerologists refused to use the sacred 9, so their alpha/numero is 1-8, however I am attempting to keep this simple and purely spark your interest so I will involve in-depth details. ﻿Chaldean numerology has its roots steeped in Babylonian times, where the Chaldean people were renowned adepts in the arts of metaphysics and the occult including Astronomy, Maths, and sciences and in particular – astrology and numerology. It is because of this that it is also referred to as “ the Mystic Numerology”. It is far more complex to master than Pythagorean, and where Pythagorean numerology tends to show a life path, the Chaldean numerology tends to show the undercurrents and subconscious forces. I am by no means an expert on the subject. One clear diference that I am aware of is for example in the birth numbers. eg. if a persons birthday was the 31st of November 1972, we would establish the “ruling number” or the “birth number” by adding up all the numbers of the birthdate. ie. 3+1+1+1+1+9+7+2 = 25. We then add up the last two numbers. 2+5 =7. So we can see that a person born on November 31, 1972 has a 'RULING NUMBER” of 7. Without going into what this means specifically – the variation between Chaldean and Pythagorean is of course there is meaning and a message in this birth number about a persons life path. HOWEVER, with Chaldean, they also include the “DAY number”. (which is the 31st in this instance and equates to the number 4 when they are totalled together 3+1 = 4). SO, If a person said to Pythagoras (and their birthday was the one used as an example), “what is my ruling number?” Pythagoras would respond “your ruling/birth number is a 7. A Chaldean however would say “you are a four over seven. 4/7”. Each day number applies a different message and significance to the birth number and carries its own implications. Once again I am no expert and as I type this information (which is current today), I realise that I would actually enjoy studying Chaldean in far greater detail. I have made many observations on key numbers in peoples lives and trends, for instance, there is a number sequence which as soon as you see it, you know that the person has battled with either alcoholism or substance abuse, there is another number that you know as soon as you see it – that this person has been exposed to domestic violence. It is ALL there in the birth numbers. I have been testing these numbers for years, (as has a friend of mine), and we have held many discussions on the subjects (he is a Chaldean numerologist where I lean more toward Pythagoras at this point in time). Another interesting observation that I have made in numerology is that there have only ever been a maximum of two people that have disputed the outcomes of a numerology reading. I try and be open minded about most things so I accept that perhaps there are breaks from the rules but in both these instances, their denial actually demonstrated the truth of the numerology chart. People can be amazing, (as can energy). In a numerology report you can expect to see a chart like this. 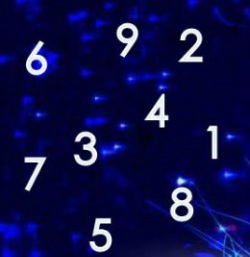 Each number is allocated a square and each number of your birthday is entered into the square and from there it is possible to basically determine if you are a "doer", a "thinker" or a "feeler". These are the inherent traits that we are born into this life path with. The number of "numbers" in a birthday, carries different meanings and suggestions.. for example, in layman language we could look at this birthchart and know that the characteristics of the individual is that they have "leadership capacity", but with the extra one, there is every chance that they may be a " little bit bossy", but not necessarily overbearing. The two eights would indicate that they are very capable, at pursuing their material needs, and most likely work very hard to achieve their material goals, and combined with the ones its every possibilty that this person may be working in a management role. However, given that the "ruling number" for this birthday is that of the "11", a person could be forgiven for thinking that the person who owns this birthday is actually quite spiritual, and has had quite a difficult life path to walk with many more challenges and heart breaks than others, as their role as an 11 is to basically be a spiritual teacher, teaching from a place and space of experience. HOWEVER, these are assumptions and taken out of context from the rest of a numerology report. EVERYTHING in a report has meaning. We can't presume to know based on a few numbers without knowing the rest of the detail. Each letter of the alphabet carries its own vibration, and by adding the numerical values together it is possible to get further insight into the person and their behavior and their life path. One variation with Chaldean and Pythagorean numerology is that the Chaldean report would be on the 'chosen name" or the nick name or the name that the person is most commonly known. For instance there are many people in this day and age that never get called by the name on their birth certificate, but are called or known by another name. Chaldeans are interested in the name in use. I have done numerology reports on people including their chosen and birth names and done comparisons and it is fascinating to see that the chosen name (paritcularly if they are a likeable character), is supportive of their amicability, but by doing their birth name, the character is a lot less likeable. Charts really highlight why a person has chosen to stick with a name they choose rather than one that they were born with - it highlights our inherent tendencies to follow our intuition even when we think we are not aware or not even guided. This image is here until I can put up an image of the actual triangle that I use representing peak years (major developmental years for the individual). We all have four peak years throughout our lives, and depending on the ruling number, depends on the age we are when we reach those " peaks". It looks a little confusing when we first see it, but I include it on all my numerology reports with an explanation of what it means (each peak) and what the corresponding numbers refer to. Having said that - I thought it might be humorous and a little " light " to put this picture up. Your reaction when you get your numerology report will be very similar to your first glance at this picture which is no doubt "what on earth?" exactly..